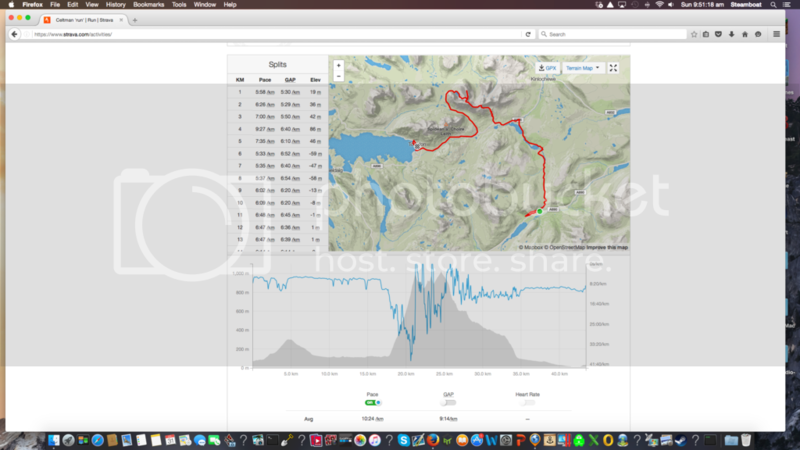 Celtman run course and profile. Requirement is to carry full survival gear, nutrition and have a running partner for the 17-35km section due to its extreme nature. Full Hooded Waterproof Body Cover (i.e. and 1 x 1st Aid Kit. Wonder how many people still know how to use a map and compass? Do they give any instruction in the briefing at all? Wonder how many people still know how to use a map and compass? Â Do they give any instruction in the briefing at all? Yeah good point and my guess is not too many. They didn't give out any additional instructions but do a full gear check both at rego and at t2a before they let you up the mount is on the day. Having the phone is pretty useless tbh - it's so remote there's no mobile reception either so if that's your fall back as either a compass or mapping that's not going to work. To me it's a big plus to the race in that they don't surround you in cotton wool and there are clear risks to be managed. Having said that they stop people going up the mountain after 11hrs (you then go around the base and get the white t shirt and not the blue one) and mountain rescue will stop you after the first climb if you take longer than 1.45hrs and/or look worse for wear. Biggest risk in the mountains is low cloud coming in - the safe trail isn't that wide and I don't know if a compass would be good enough for that scenario. Wow, that's some run! Love this kind of stuff. Yes, map reading skills may come in handy. Hopefully you don't need them but crucial if you do! I spent a number of years doing Orienteering so hopefully know my way around a map! Well, weekend of the Wonderland run is upon me and I get to find out whether this trail running gig is going to be for me, hope so as I've already entered 2 further races between now and Feb and seriously eyeing off another one next month depending on how I pull up after this weekend. Weather is not doing any favours, despite good weather up until today, the course is being shown with some mud and water in parts. "Possible showers" above 70% chance with rain fall of 1-5mm is expected. Read a race report during the week from a guy last year who twisted his ankle in the first few kms, however he was really upbeat about how great the vollies and first aid personnel were so that's a positive. Wonderland looks pretty wet unfortunately. The anisport is down there. Kootenoy Sufferfest, 55km, Canada, August 2015. I've just started off road Mtb and trail running in the last 12 months. I've just done another trail run in the Queensland Run series. It has been so much fun. Two of the runs were at Wild Horse Mountain (between Sunny Coast and Brisbane) with one of them being a night run. I was nervous to enter having not run at night a lot but this was SO MUCH FUN!!!! Just my Ayups and the bush and I had a blast!!! Last weekend I did the last of the series at Rainbow Beach. Again a lot of fun .... even running across a huge sand blow! Really glad a friend introduced me to trail running! I have loved it so far!! I did a few training trips there for TNF, but didnt get organised to get a qualifying toime to do the race. Did most of the course though and thought it would be slick if wet! Nice one, cheers. Hope to give it a go! I ran Coastal High 50 yesterday. Bloody tough course. Extremely beautiful though. A lot of my training was done out on the course, but stringing it all together for the 50k was a different story. I got home in 7.03. I thought I'd get somewhere between 7-7.30 and a hope of sub 7hrs if everything went right. It was pretty close to perfect except some niggling cramps popping up from 40km onwards. I'll be back next year and highly recommend it to anyone, great event. I ran Coastal High 50 yesterday. Bloody tough course. Extremely beautiful though. Well done. I had some friends that did it this year and the photos of it looked great. Lots of creek crossings. Cheers. Yep an outstanding course. I've got to look into this more. Ran the Enogerra Dam trail race this morning (12.7k and around 450m of elevation for the long course). Nice tough course, pretty decent turn out with Amberger taking out the long course and Gentle taking out the women's short course - must be a triathlete thing! Was lucky enough to have a crack at the Hume and Hovell Ultra last weekend up at Tumbarumba. I only did the 22km Trail Run event but the course was sensational. With all the recent rain in the hills the creeks were up and the place looked spectacular. Plus Saturday was a cracking day and it was fantastic weather to be out on the trails. The organisers put on some superb, but super tough events. So tough that in the 100 miler only about half of the runners actually made it to the finish line. Great weekend! Gees mate, wish I'd known, I was crewing for my wife in the miler. Liz was one of those who didn't make it, pulled the pin at the Pines at 85k. She was about an hour up on schedule but the thought of another 78k's got into her head. I got into trouble for letting her quit!!! Can't win. I did hear that the last finishers in the miler didn't get in until 4 p.m. Sunday arvo, that's a long time to be out. I did cover plenty of the course and I've never seen it so green, lush and beautiful down there. We're going back next year. Liz to beat the miler and me to put a team together for the relay. Might be a chance to podium if there is only one team again! Are you interested in joininmg a relay team? I got into trouble for letting her quit!!! Can't win. Bugger, yeah I didn't decide to put an entry in until late on the Wednesday night just before they closed. It would have been good to catch up and say g'day. No shame in pulling out on that course, especially if she was trying to 'race' it. I think the 22km that we did was their first out and back section. I had two great runners in front of me that I wasn't going to catch, and a comfortable lead on the guys behind me, so took the last 6 or 7 Km's fairly easy and I still ended up fairly sore from it. Haven't been able to do any training for the past 3 days, not even gentle runs. It's a tough gig being a support crew, especially if you're married to the runner! It was probably a smart move for her to pull out if she wasn't feeling good about it although she might not think so now. Yes, two friends of mine were the last two to finish at around 4.00pm... It was her first miler, but he's done a fair bit of longish stuff. She ended up in hospital for the night but apart from some soreness is all good now. Also had another friend who's qualified for Kona numerous times previously who did the 100km and also struggled with it. They were definitely some tough events. I think we might be heading back up there this weekend to remove all the course marking... Looking forward to it! It's far too early for me to commit to anything for next year but tentatively yeah the relay team sounds good. I'd like to see some events (trail running events and triathlons) that you have to do as part of a team - no solo entries. I reckon it would be a great social event. Saw last night that dates for Wonderland 2017 are set for last weekend in August. I'm planning to be in it for the longer distance next year. I think we might be heading back up there this weekend to remove all the course marking... Looking forward to it! Well, we did go back up there last last weekend to remove all the ribbon and reflective tape from the trees marking the course along the track. A mate and myself said we'd run the 32km section between 'The Pines' and the 'Henry Angel Trackhead'. Things were going well with the two of us leap frogging each other and stopping to untie the next ribbon. Then after me missing a couple of ribbons because I was concentrating looking out for rock, logs, and holes etc on the track, I started spending a bit more time with my eyes up looking for the next ribbon when my left foot caught a tree branch running along the track. The branch caught in my shoe lace and sort of pole vaulted my feet into the air and I slammed down badly on my chest... once again damaging my ribs (different spot though). That was last Saturday, and I've tried to run a couple of times since it's hurt like buggery so I've definitely done some damage. It's a fricken nuisance as I was meant to be doing the 4 Peaks Trail Run this weekend at Bright and I've had to pull out. It's even more annoying when I gave up what I was going to do last weekend to help the Hume & Hovell organisers because they were short on helpers. I'm also meant to be doing the Cross Tri World Champs at Crackenback in three weeks time... Without being able to train it's going to be an interesting and very painful few weeks I think! Yep, you can say that again! It even hurts just rolling over in bed. I actually got through a very gentle short run on Wednesday night but it just aggravated it and I haven't been able to run since. Can't swim properly either as I can't breath deeply enough, but hopefully I'll be able to do a couple of short gentle MTB rides on a smooth flat track if I'm feeling up to it. Maybe the indoor trainer in front of the telly? Yeah that's probably a good thought, but I'm just not a big fan of the indoor trainer. I'm a bit spoilt and I really need to be in the right mood to do an indoor trainer session. I think my goals for the World Champs have now gone out the window anyway and I'll just be aiming for another finish. You should be very very worried. She must want something you don't know about yet? I am running the 25km at the Freedom Trail run in Nightcap National Park next weekend. I know very little about the course and have run a total of 10km since the Melbourne Marathon. Family camping weekend with the family. Bad luck GE. It sounds like a rib cartilage. They are a nightmare. I suffered for 12 months a while ago. Just when you thought it would be healed, I'd wake up in agony in the middle of the night. It's getting better but comes back to bite you if let your guard down. Rolling over in bed is a bugger. Cheers FM, I'm getting better. Very low key event with no frills. We camped the night before and it was a nice laid back vibe happening. The 25k appeared to have a lot of downhill, my Garmin said exactly the same up as down. I think the downs were just longer stretches. Nice location, plenty of areas for improvement in the event, but that would probably drive the price up and make it something it's not. I think I like the low key events just as much (if not more) than the bells and whistles stuff. It's the people, places and memories that matter more to me. And if it's good for the family too then that's even better. Thanks for the feedback on the event ptt. Have scratched the Roller Coaster Run, so open to hearing any events sort of Feb through to April that might be on around Vic. Not quite up to the Oscars Hut to Hut so anything up to 30 - 40km at this stage. I'm thinking about having a crack at the Mt Bogong Conquesthlon. It's a 20km event with a bit of a climb on 13th March 2017. Mount Beauty is a very nice part of the world. There's also the Glow Worm Tunnel on the 17th June in NSW (near Lithgow). 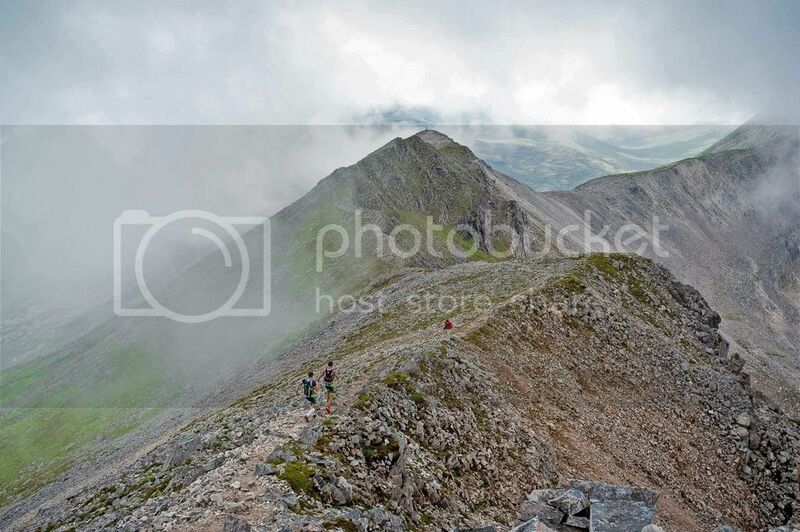 It's got a Mountain Dash, Half & Full Trail Marathons plus a 6km kids event. It's a great weekend away camping with family & friends in a really nice spot. RCR changed hands last year. I'll be at Two Bays again this year - Rosebud aid station - See you there! How'd you go, did you find anything? I'm in the same boat now and am also looking for some nice trail runs to aim for throughout the year. Two Bays 56km next weekend would have been good but I'm just not up to it at the moment. Plus getting last minute accommodation at Dromana would be too difficult. I think I'll just do some shorter, low key events in nice locations. Low cost, minimum hassles and good memories. NSW or Vic preferred but not essential, either coastal or mountains... variation is the spice of life they reckon! Cheers mate that's an amazing offer. I don't think I'll be able to take you up on it though, don't think I'm up to doing the 56k option and chances of getting a 28k start are slim at best. It's a great event though, I'd probably do it again if I lived there. (But then again I've only done our own local Trail Run event once as I'm usually helping out - Plus I get to run on our own local tracks most weekends anyway).